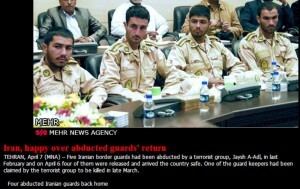 A photo posted yesterday showing the four released border guards in Tehran. 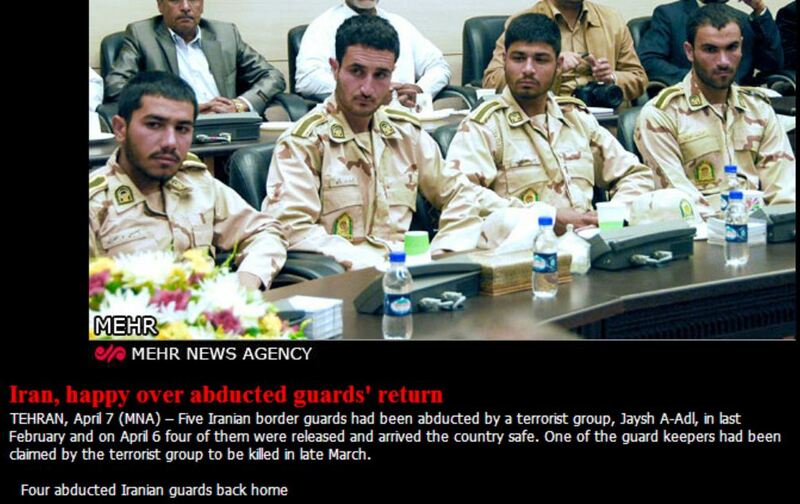 I have been following the story of the five Iranian border guards who were abducted in early February by the Jeish Al-Adl terrorist group. Late in March, the group claimed to have executed one of the guards. 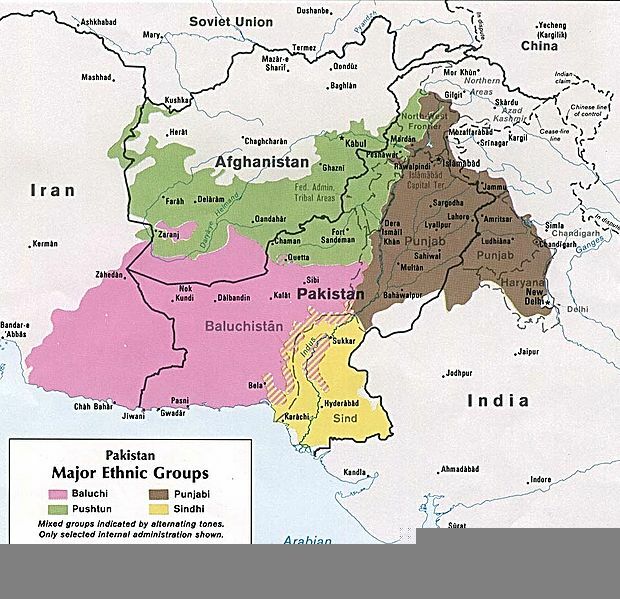 Last week, four guards were released and eventually made their way back into Iran, presumably from where they were being held just across the border in Pakistan. Iran’s statements relating to the group’s claim of killing one guard have been quite strange, alternating between stating flatly that he has been executed while also stating that they can neither confirm nor deny his death. Iranian Parliament Speaker Ali Larijani called on the Pakistani officials to double their efforts to release the 5th Iranian border guard who was abducted by Jeish al-Adl terrorist group in February and kept hostage despite the freedom of his other four colleagues. “The Pakistani government should certainly be accountable and provide the ground for the freedom of the 5th Iranian border guard as soon as possible,” Larijani said in an open session of the parliament in Tehran on Tuesday. His remarks came amid reports and claims by Jeish al-Adl that the terrorist group has killed, Jamshid Danayee-Far, one of the Iranian border guards kidnapped along Iran-Pakistan borders in February. The five Iranian border guards were abducted in Jakigour region of Iran’s Sistan and Balouchestan Province on February 6 and taken to Pakistan. Jeish al-Adl claimed late last month that it has executed Danayee-Far. Meantime, Governor-General of Iran’s Southeastern Sistan and Balouchestan province Ali Awsat Hashemi this weekend confirmed the death of Danayee-Far, and said Iran is waiting for the transfer of his body. Iran’s interior minister has said due to lack of sufficient evidence, Iran could not confirm abducted guard’s death.